Unintentionally Kitsch, the best kind, these qualify as Kitsch treasures for two different reasons. 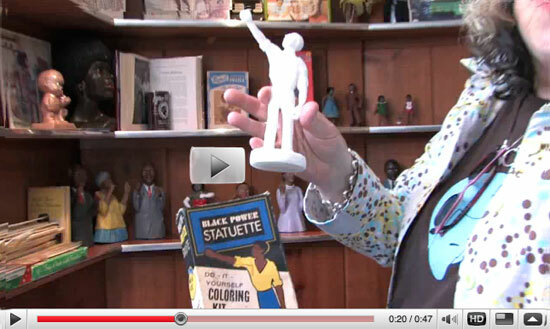 Libby because she took on THE characteristic of the oppressor she was attempting to free herself from and the Black Power Statuette because whoever his product manager was was too cheap to spend the extra pennies to add a little tan color to the resin. Power to the Kitsch people! 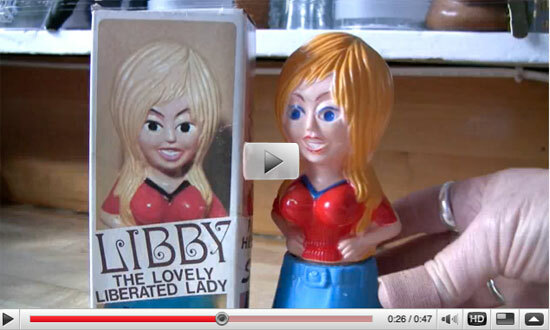 I’ve come across two of these Libby The Lovely Liberated Lady figures and I was curious as to whether or not people still collect these and how much someone would generally pay for one. Definitely people still collect these. As far as price, it really depends on if someone specifically looking for or has a large collection and just comes across it as is the case with me. I would guess it could go anywhere from $10-$50. I think Libby is wonderful! How much were the ones you found selling for?